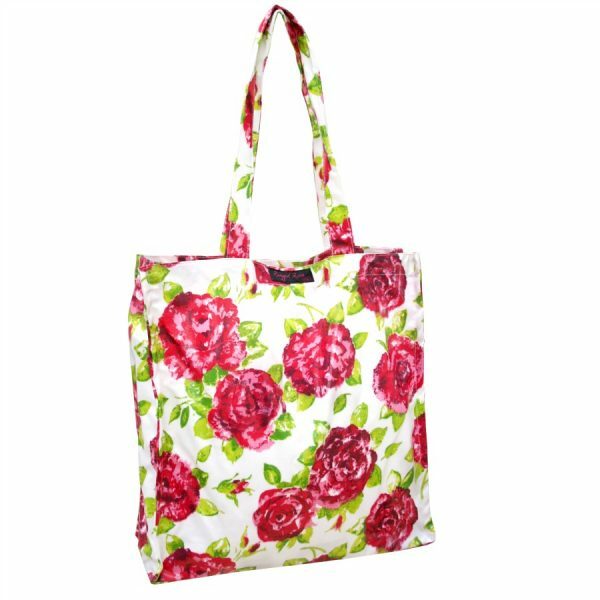 Funky, fun and functional… this Teddy White PVC Shopper Bag with Fuchsia Pink Roses on a simple white background print has it all! Sick of those plastic bags that can tear and split? 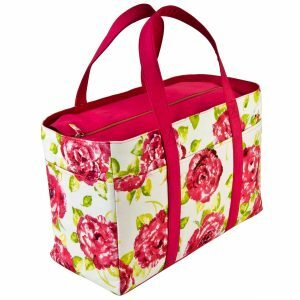 How about taking out your Teddy white PVC Shopper Bag and placing your items in this stylish holdall instead? Made from sturdy cotton canvas coated in PVC with long padded handles featuring our fuchsia pink roses on a white ground, this fabulous bag is strong and waterproof ready for any day. 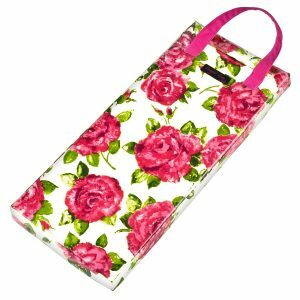 Who would not be delighted with your service in London, a pleasant and informative visit to your house and three great shopper bags as well as a happy husband whose wife found just what she was looking for so easily? Great service and products. I wish you well. 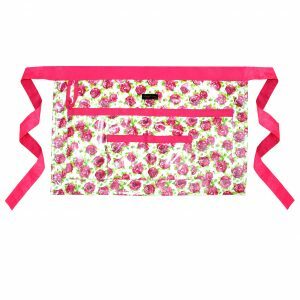 Like the long handles for easy carrying over the shoulder, the waterproof material and the size. 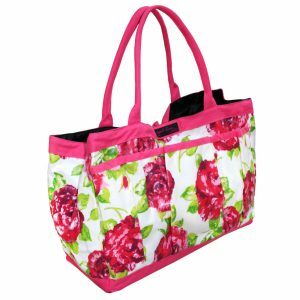 Great to use as a grocery shopping bag or for carrying items to and fro. Keep one in my car all the time. Liked it so much have purchased others, but had them sent to a friend in UK who will bring it to the USA.